A good number of retail bosses who claim their customers are at the heart of their strategy, often neglect the ‘face’ of their business- their ground staff. And when the top management misses the point, things can be in limbo forever. A recent report by Gallup says that only 30% of the workforce in the US is fully engaged with their work, the rest is –actively disengaged or not engaged. Whether it’s a result of the warped economics of insufficient remuneration or no/low benefits, most employees seem to reciprocate in a similar vein. a) Listen to your star performers- They’ve earned their value and credibility, so discuss your plans with them. But, do what ultimately suits you. If that sounds like playing favorites, so be it. You can get by with paying less head to your cantankerous lot (don’t worry they’ll stick around). More often than not, the complaining lot isn’t the most capable one. b) Make everyone accountable- Employees should be made architects of their own situation, and not victims. Let them know they’re equally accountable. For this, clearly define their chores. Employees who know their roles have a stronger chance of outdoing their duties. But, this sort of an arrangement works only if they feel you’re concerned about their growth. c) Aim for a 100% Collaborative Environment - Despite their best efforts, organizations aren’t democracies. Employee votes do count in decision making, but not necessarily. Even employees know it. So try and aim for an environment where your employees collaborate, instead of imposing verdicts on them. In other words, keep them with you. A low-friction atmosphere will mean more productivity. d) You can’t create a ‘Utopia’ – Do anything, but you can’t get away from the differences, disagreements, conflicts or arguments. Some people will always feel disgruntled. It’s a human trait, it doesn’t originate in workplaces. Make sure, at least delegating responsibilities become smooth. Schedule them properly in the right shifts so no last minute hiccups don’t occur. Employing a retail scheduling software can be a good option . Besides, hurdles aren’t bad all the time, adverse circumstances teach you the most. Try your best and don’t be dissuaded by troubles on your work floor. Retail Industry, especially the service industry is fuelled by passion. Starbucks is known for its excellent customer service, that focuses on offering an experience. And this experience is created by its employees on the floor. It’s always better to have a lively staff. Even Sir Richard Branson feels customer service is everything . In the retail sector, your employees make all the difference. They are the relationship builders. Being a retailer you must tell your staff what’s exactly expected of them in terms of behavior and values, besides work. They are the voice and face customers see and hear, their enthusiasm has to be contagious. You staffers are your best brand ambassadors. They carry your firm’s image wherever they go- whether they’re inside your eatery, out on a delivery or ringing a doorbell. If they smile and deliver the order. Your company looks like an amiable place. One month of bad sales and everyone at the board down to the middle level makes a scapegoat out of the ground staff. Unfortunately, the people who perform these ground duties are very marginally different from one another throughout the world, in their motivation and aspirations. They only carry out the orders. But, what really differentiates lucky and unlucky businesses is the capability of the people above them. Educated, well-motivated managers who spend considerable time in the growth and development of their teams should be brought in. 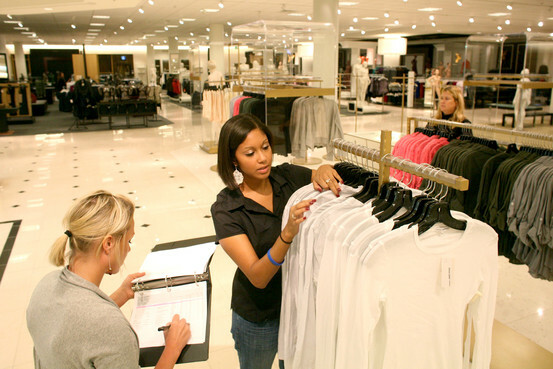 Best retail employers are all about the progress and well being of their employees. The businesses who complain generally make half baked efforts that are around for donkey’s years. The management must realize most of their ground staff workers have a house to run, bills to pay, bring up children. If they don’t find enough encouragement at work, they end up becoming slaves to their paychecks. The result- your business would do OKAY but not exceed expectations. An enthusiastic employee is the personification of your Brand Promise. The best way is to confront the obstacles and confide in them. Tell them you’re in this together. Pepper it with positivity and enthusiasm. Firms like Costco are thriving examples of employee friendly companies who remained unflinching when many solid brands fell apart. Don’t let your employees feel lost. It has cost companies before and will cost them again. Walmart is a living disaster. Just get involved, get your employees involved and you’d be surprised at the talent you’ve unlocked. Before joining Celayix, Bimal was Vice President of Marketing at Faronics, a leading provider of IT solutions for the Education vertical where he helped grow revenue over 50% and launched exciting new solutions. Prior to that Bimal held senior marketing and product roles at technology companies such as Business Objects and McAfee Security where he gained significant international experience working with global companies such as Microsoft, Dell, Sony, HP, Orange, Telefonica and Ricoh.